As citizens concerned about animal welfare and the public health threat of superbugs, we call on you to agree strong laws that ban the preventative use of antibiotics in livestock farming, and implement robust enforcement mechanisms aimed at vets, feed companies and farmers. Your leadership will reduce animal suffering, and save human lives. Cruel factory farms are pumping healthy animals full of antibiotics so that they can produce the most meat in the fastest, cheapest way. 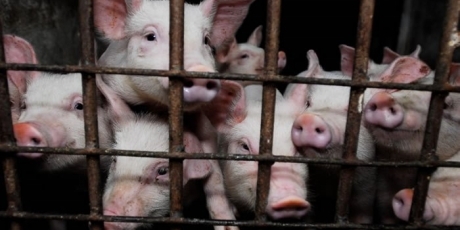 This insane cruelty is also creating drug-resistant superbugs that can kill us! Several European countries have already got farmers to drastically cut their use of antibiotics, and now EU ministers are negotiating laws to do the same across the continent. Reducing cruelty to animals while saving human lives is such a no-brainer that even McDonalds just said it'll stop selling chicken reared with antibiotics that humans use. But the farm and pharma lobby is out in full force to stop the new EU laws in their tracks. Ministers from across the EU meet in days, and many have yet to make up their minds. Let’s build a million-strong call to outlaw the cruel and deadly abuse of antibiotics in factory farms, and deliver it to each of them. Once we win in Europe, we’ll take this to governments and companies around the world. Sign now, then share with everyone.